Philip H. Ward was a world-famous stamp dealer in Philadelphia, Pa., who was known for buying and selling the great rarities of the classic issues of the world. He held a series of auctions containing outstanding material from many important collections. He was known for his own important major collections, most notably of unused U.S. classic stamps in blocks of four or larger, presidential letters and autographs, Philadelphia postal history, Japan, and inverted centers of the world. His influence was on a par with the great commercial stamp dealers in New York, London, Paris and throughout the world—in large part because he was not only a dealer, but a regular writer in key philatelic publications. His weekly column in Mekeel’s Weekly Stamp News ran for well over 30 years until until the time of his death in 1963. His most famous collection was his U.S. Revenues, which contained the only complete set of inverted centers. He also had an exceptional array of Match and Medicine stamps. Ward had acquired for himself, or sold to others, many of the specialized revenue collections still retained by Hiram Deats in the 1950s. 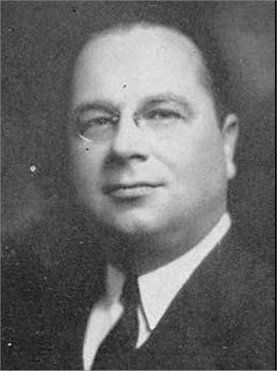 In an unusual move, but typical of him, Ward helped found the American First Day Cover Society in 1955 and the organization’s key annual award has always been named after him. Actually, Philip Ward was one of the first to recognize the importance of first day covers, and created many of the earliest and rarest known back in the 1920s-30s. In his honor, the American First Day Cover Society established the Ward Award for Excellence in First Day Cover Literature.